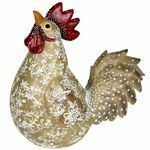 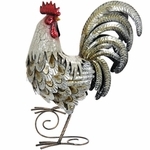 Rooster decor is one of our most exciting decorative items in demand. 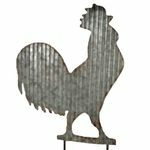 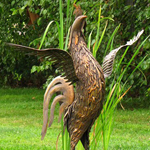 We do have a few on rooster garden stakes, and some rooster weathervanes which are pretty popular, however the standing metal rooster décor pieces are the most popular. 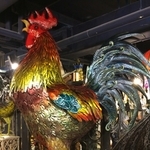 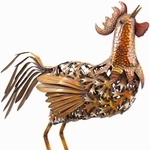 Whether you are looking for that perfect kitchen rooster décor item, or a welcoming metal rooster decor for your porch, or a signature rooster to place out near your barn, or just a decorative rooster decor for your home office, a rooster gift, or just some added fun, you will love our selection of unique decorative metal roosters! 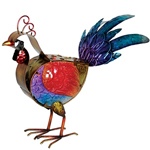 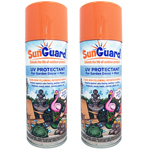 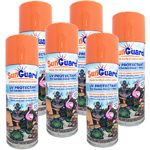 We carry roosters in all sizes, shapes and colors, and these birds will not disappoint! 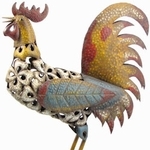 Some are filigree patterned, others are resin, but most are metal. 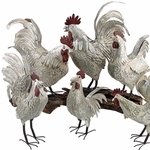 All our roosters are intended for indoor or outdoor display! 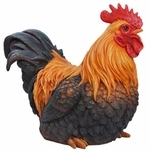 People really like their rooster decor. 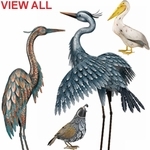 It was actually quite a surprise to us how popular the category was. 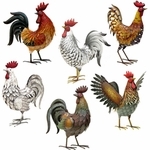 So instead of just offering 5-6 unique rooster birds, we expanded the category to include the great selection you see above! 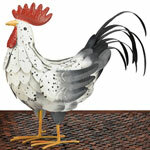 Each year we try to add a few new metal rooster decor items to keep the variety growing. 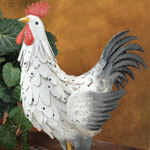 One of our newest Rooster Decor birds is Toby, the large 34” Rooster bird and he is quite impressive. 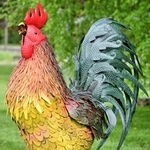 Each feather is hand crafted one at a time from colorful powder coated iron. 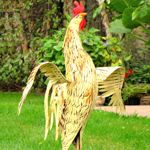 He stands very tall gathers a lot of attention. 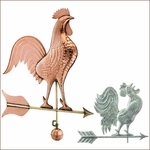 Build for long lasting durable display. 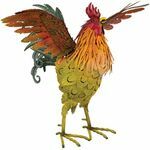 Large and Giant Roosters are all the rage, and it’s been challenging to keep up. 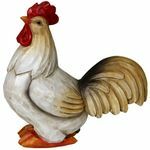 When we started selling the 3 foot rooster we figured we reached capacity, however customers kept calling and email us requesting a larger rooster. 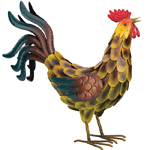 Our large 48” Roosters are awesome and started to outsell all the rest. 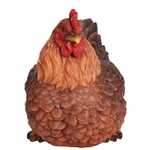 Funny enough, they didn’t seem to be large enough for many customers. 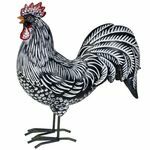 The 52” Large Roosters were added, and soon after that we had to introduce the Giant 70” Rooster Birds and we can barely keep them on the shelves! 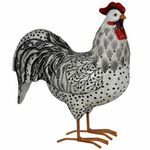 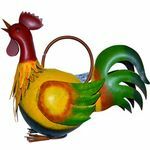 So get in on all the fun with some great Rooster Decor for your country living lifestyle! 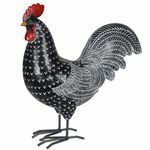 Many of our roosters have similar version is multiple sized so you can create a nice grouping of birds without having repeating birds. 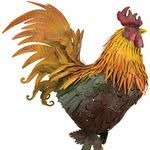 If you need a full assortment, but don’t have the time to select them, you can try our popular Set of 6 Iron Roosters that come in a variety of all the most popular colors!